Swelling can occur in clay-based soils due to alterations in moisture content, and such swelling causes damage to infrastructure and engineering structures such as roads. Ginegar offers highly-resilient H.D.P.E. films that can be used to line such infrastructures to enable clay to maintain constant moisture content and prevent it from swelling. Once the clay is processed to the desired moisture, H.D.P.E. 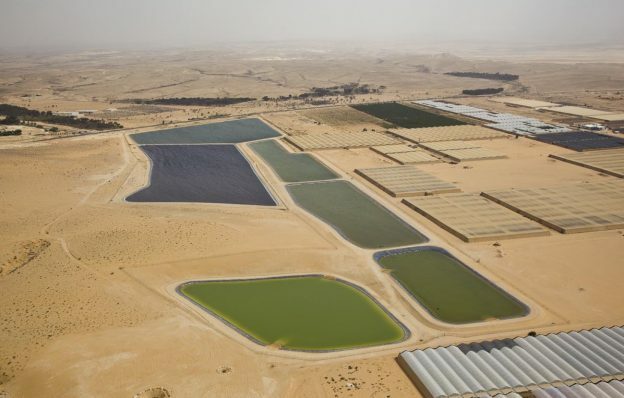 films are deployed on top of the horizontal subsoil and in vertical barrier ditches. The lining on the horizontal plane prevents the penetration of water flowing vertically from the ground’s surface or penetrating through the asphalt layers. 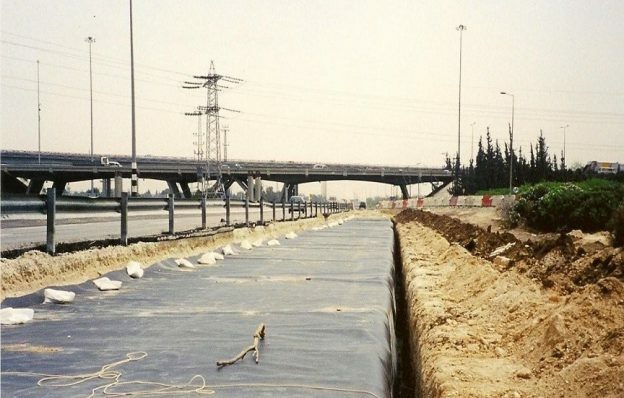 As the vertical barrier ditches are dug at a depth of 2.5 meters, moisture content alterations are prevented due to water flow within the soil, and water penetration from drainage channels and infrastructure systems is also prevented. 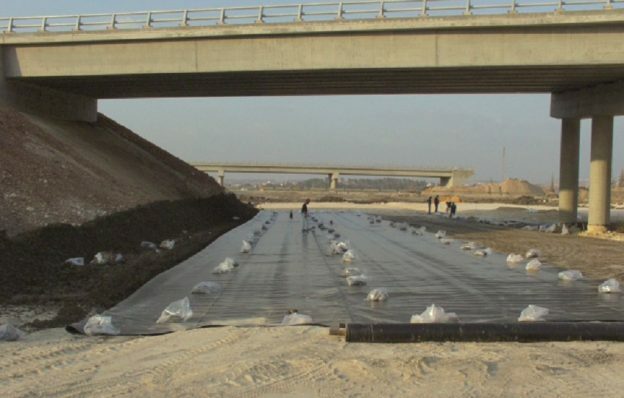 In addition, the lining of clay prevents the formation of cracks, differential sinking and other damage that results from the cyclic swelling of the clay on the pavement’s surface. This in turn lengthens the roads’ repair and upkeep period and improves its quality. 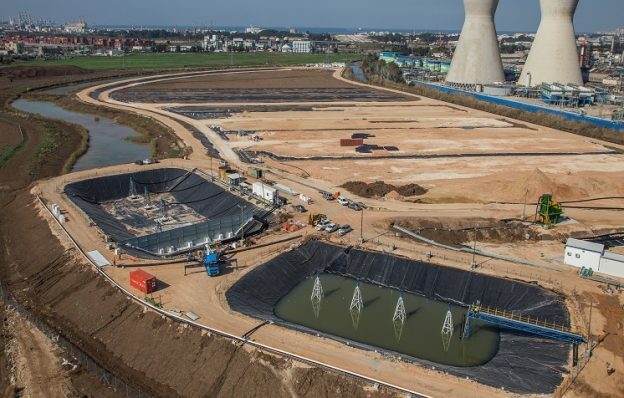 Preparation and reclamation of a site as a waste disposal site requires the provision of solutions for ecological problems which may arise as a result of garbage burial: Lining the ground in order to prevent fluids seepage and ground water contamination, providing a solution for fluids drainage and their regular pumping from bottom areas as well as finding a solution for the methane gas generated during waste decomposition. Geomembranes of the following types – HDPE, LDPE, RPP and the like. Drainage mats and Geonet for collecting biogas, leachate and water drainage. 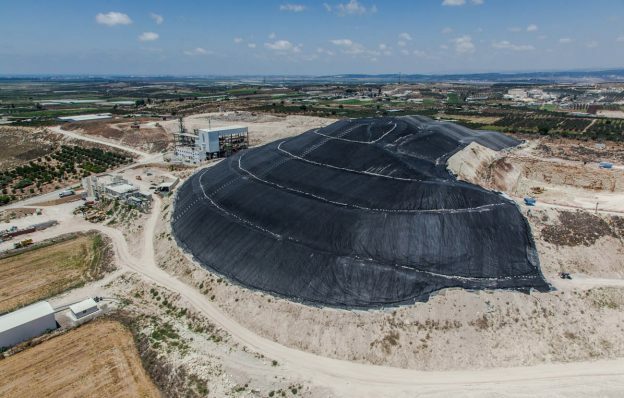 Geotechnical fabrics, Geocells and Geogrids for stabilizing and strengthening waste sites slopes. Pipeline for collecting gas and leachate, including leakage control and monitoring.